Genet Elementary School teachers and staff wearing #teamdavis shirts in support of 4th grade teacher Joan Davis. 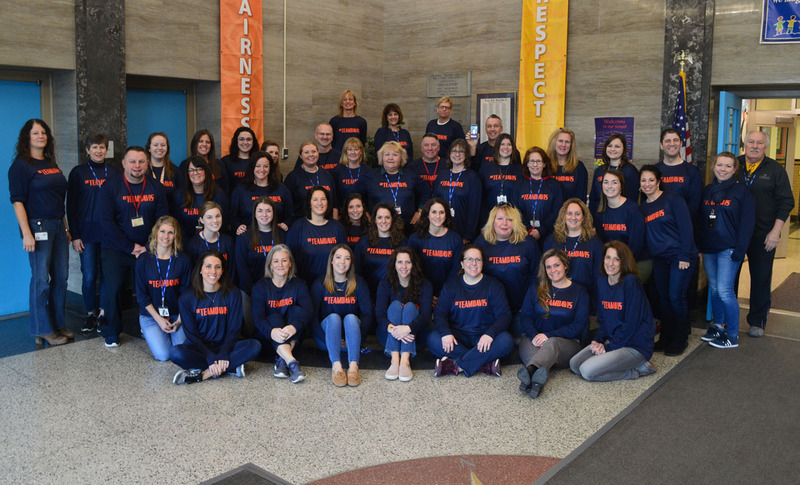 Genet Elementary School staff wore #teamdavis shirts to school on Thursday to show support for their colleague Joan Davis. Mrs. Davis, a 4th grade teacher, is battling leukemia and will be out of work the reminder of the year.